I wrote about Bitcoin four years ago. At that time it was only a digital currency that no one knew something about. Now it is on the way to be mainstream. The price have skyrocketed thanks to a massive campaign. 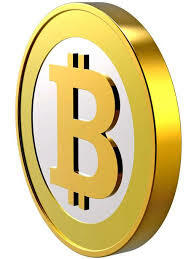 Bitcoin was registered in August 18, 2008. It follows the ideas set out in a white paper by the mysterious Satoshi Nakamoto. The first bubble started in October 3rd, 2010. The BTC price was only $0,06. Then the price crashed down to $0,01, and a massive buying frenzy started. Now, the price is just below $6,000. Saudi billionaire Prince Alwaleed do agree. They are both joining the long line of skeptics saying bitcoin is a bubble, and Prince Alwaleed said “I just dont belive in this bitcoin thing. I think its just going to implode one day. I think this is Enron in the making,” Alwaleed told CNBC. He also said “It just doesnt make sence. This thing is not regulated, its just not under control, it`s not under the supervision” of any central bank, he said. My computers are full of bitcoin ads. It says; “millions are buying bitcoin.” Some pro`s in the mainstream media are telling people to invest in bitcoin and specially hedge funds and other traders in Norway. The Swedish government has successfully auctioned off some bitcoin a few days ago, collecting more than the prevailing market rate in the sale. The 0,6 BTC, along with an equal amount of bitcoin cash, which was not previously disclosed, were sold by the Kronofogden during a week-long auction for a total of 43,000 kroner. Kronofogden is not the first government agency to sell seized bitcoin. A few weeks ago, the U.S department of Justice formally took possession of $48 million it accrued through the sale of 144,336 bitcoins since the closure of the Silk Road dark market. China`s big government and banks have banned Bitcoin, and its growing popularity in China may have caused the government to begin to perceive it as a threat to local currency, especially as Chinese investors bought up bitcoin a bet against the yuan last year. China is home to vast and lucrative cryptocurrency mining operations for both Bitcoin, Ethereum, and other cryptocoins. Three Chinese exchanges like Bitfinex, OkCoin and BTCC, made up over 45 percent of the global market share over the last two months. Co-founder and CEO of BTCC, Bobby Lee said it must be fake news because the exchange was operating normally. Many supporters belive that Bitcoin is the future. Those who endorse it are of the view that it facilitates a much faster, no-fee payment system for transactions across the globe. It is not backed by any government or central bank. Bitcoin can be exchanged for traditional currencies; in fact, its exchange rate against the dollar attracts potential investors and traders in currency plays. Another reason for its popularity is that they can act as an alternative to national fiat money and traditional commodities like gold. All this is a huge competition to banks and central banks, and can make instability. To make it short; the market crashed in 1929 and Ben Bernanke have studied it for a long time. When the market crashed in 2008, Ben Bernanke started to stimulate the economy with its QE program. He «printed» money. In other words; he saved the world. Chinas GDP growth were 14% a few years ago, but now the worlds second-largest economy is lowering the growth target to about 6,5% – 7% in 2016. 7% is still very good, but the economy is slowing down faster than expected. The economic growth is slowing while China`s Central government budget deficit as a percentage of GDP is growing. The target is 3% in 2016, and China will continue to be a global economic engine. But what is the next China? 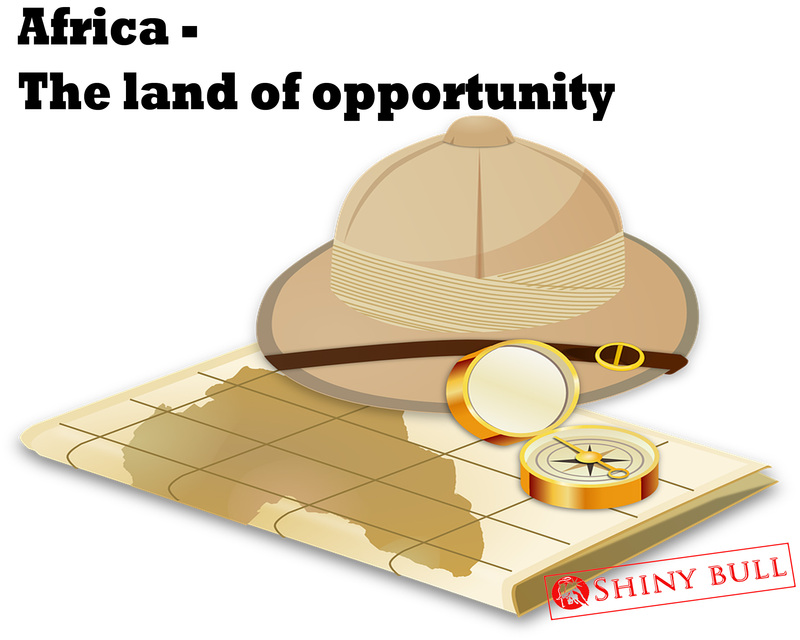 It can be Africa which is a hot commodity, but some investors are in doubt. They think it is unstable and unsafe. Some claims it is so much violence in Kenya, but the infrastructure in Kenya makes it a worthy long-term investment. Africa is a growing economy with a huge and young population. It has so far been a daunting place to start and run a company there. Very often, it is expensive to start a new business in Africa. 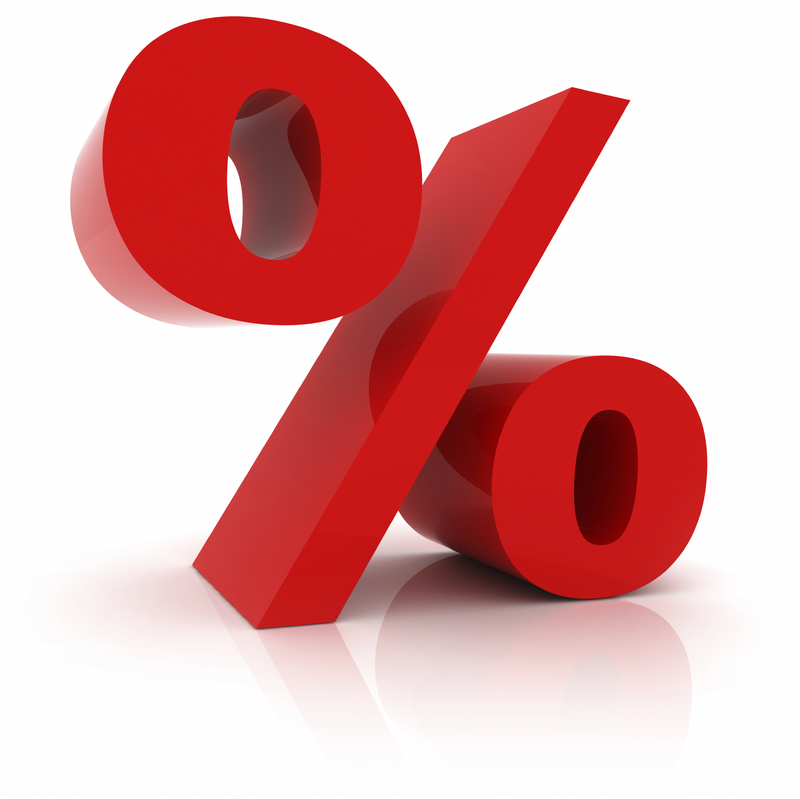 Bank loans come with double-digit interest rates. The electricity grid is sub-par and diesel generators cost a fortune, but many thing are getting better according to the World Bank. There is a lot of reform happening in Africa right now. The World Bank publishes a parallel ranking of the countries that have pushed through the most business-friendly reforms. Five African countries are on the top-10 list, which is Kenya, Mauritania, Senegal, Benin and Uganda. Botswana is the least corrupt country in Africa which is an important factor for entrepreneurs and their investors. This is a country that rely heavily on revenues from the diamond trade to fuel its growth. Rwanda is an economic success story. Many years of reforms have made it much more easy to open and run a business, and it is far easier to get credit there. Only one country is better and that is Mauritius. It has commercial links to India, China and the east coast of Africa. Mauritius is often on top of the ranking list for competitiveness and ease of doing business due to its liberal approach to regulation and taxation. What about Zimbabwe? Zimbabwe had rough days, particularly between 2005 and 2008, were hyperinflation decimated the economy. The Central Bank issued currency with expiration dates of six months, effectively longer than the actual life of the currency. The American dollar replaced the Zimbabwean dollar as the country`s main currency, and now Zimbabwe has started to retiring it’s almost worthless local currency in favor of the U.S dollar. 35 quadrillion Zimbabwean dollars are equal to US $1. Monthly inflation rate hit 3,5 million percent eight years ago, and prices doubled every 25 hours. Zimbabwe has the second-worst hyperinflation in history, behind post-war Hungary. It all started in 2000, when Mugabe changed his economic policy and implemented land reform. Mugabe granted farmland owned by white citizens to indigenous black Zimbabweans. They turned from an agriculture exporter to an importer, which resulted in 94 percent unemployment rate and hyperinflation. Zimbabwe is known for its mineral resources. It has the world`s second largest deposit of chrome and platinum after South Africa, and President Robert Mugabe wants to take over all diamond operations. Zimbabwes leader since 1987, Robert Mugabe eager to nationalize Zimbabwes diamond industry, and news from Zimbabwe leaves little to be desired about the small former British colony. He says the country`s wealth had been looted by the existing miners. “The state will now own all the diamonds in the country. Companies that have been mining diamonds have robbed us of our wealth. That is why we have now said the state must have a monopoly,” said Mugabe in an interview with the state broadcaster earlier this month. 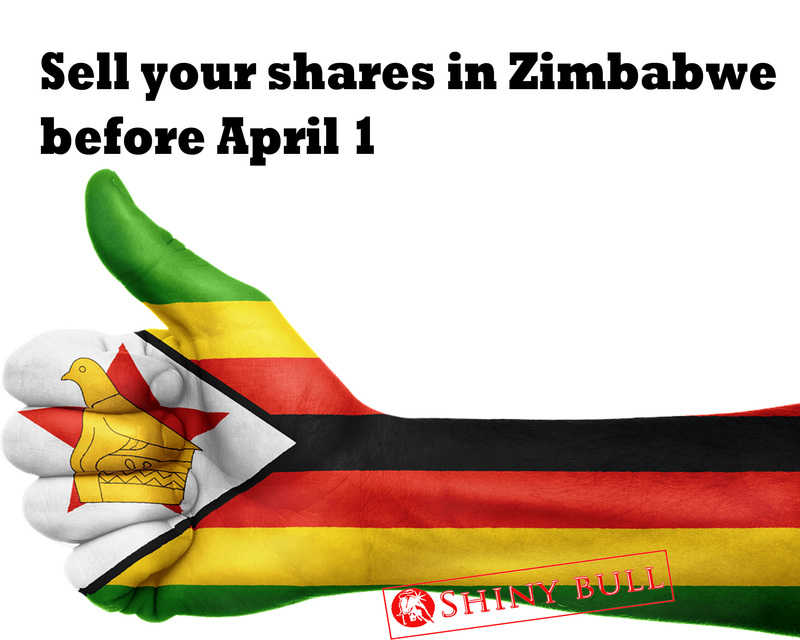 Foreign investor also need to hurry up and sell their shares to blacks or close before April 1st. Companies owned by foreigners face closure unless they sell or give up 51% of their shares to black Zimbabweans by April 1, said indigenization Minister Patrick Zhuwao. “Comply by that date or close shop, comply by that date or face the full wrath of the law,” Bloomberg quotes Zhuwao, who is also President Robert Mugabe`s nephew. IMF asked the Mugabe administration to clarify Zimbabwe`s policy on black empowerment. Zimbabwe has agreed to major reforms including compensation for evicted white farmers. President Mugabe is known for evicting white farmers. In 2010, the Guardian reported that Mugabe used land reforms to reward his allies rather than ordinary black Zimbabweans. The newspaper`s sources reported Mugabe and his supporters owned about 40% of the land seized from white farmers. The white farmers received no compensations after being evicted. «If white settlers just took the land from us without paying for it, we can, in a similar way, just take it from them without paying for it,» said Mugabe. As you may know, there has been a brutal start of the year 2016. Equities has plummeted and the volcano have hit the bank stocks hard. All in all, we can see the stock market is down while the precious metal is up. Bank stocks bounced back on friday and they remain in green so far on Tuesday. Good for stocks, but not for the precious metals. 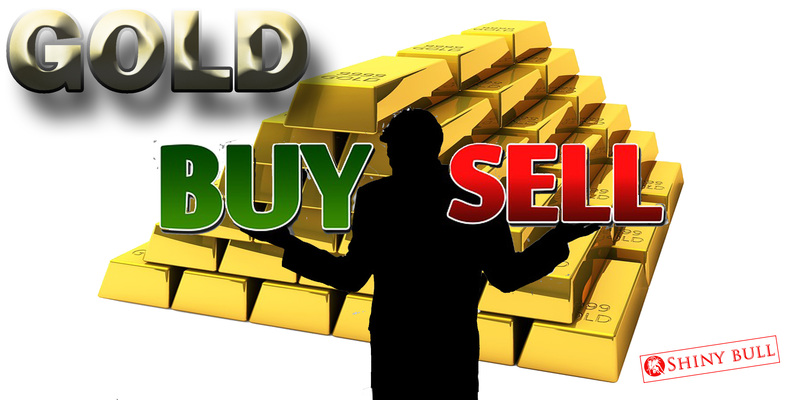 A sell-off will keep the gold in a bearish trend and it is time to be cautious in the commodity market again. In my technical analysis, the stock market is oversold while gold is heavily overbought, which means gold will continue within its long-term bearish trend. That being said, gold is trading below the upper bound of the trend channel, so we are not far away from the bull. Technical momentum is signaling a momentum shift and for all I know, it can go way below 1000. The sell-off today is a profit taking from a strong gain last week that saw gold prices hit a 12-month high at $1,260. Investors fear a slowdown in China, a volatile oil price and most of all; negative interest rate. The tide have changed. Increased risk appetite leads to a declining gold price, and Asian markets rallied on Tuesday. So did the European markets. It`s not a bad start for the U.S stock markets on Tuesday either. The day after the Presidents Day long weekend is up (13.30 pm New York). Gold can consolidate around $1,210, but if it breaks the support level of $1,180 an ounce, it would negate the rally. The fear in the market is probably overdone. We are not in a recession, and if we should fear something, it should be the fear itself. 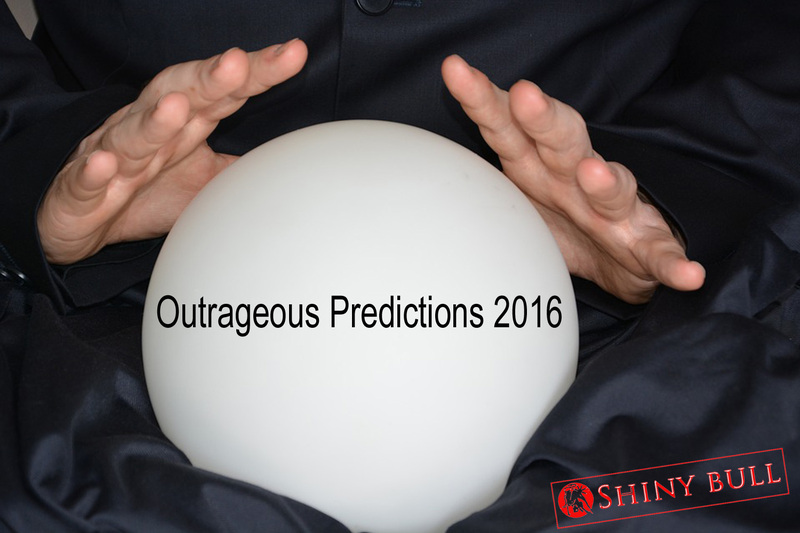 It`s time for some predictions for 2016, and Saxo Bank is out with their own predictions and they are outrageous. “Outrageous Predictions” are “Outrageous Predictions”. Very bold. They are outrageous, expecting next year’s El Niño to be the strongest ever. Oil making a drastic return to $100 a barrel, and EURUSD to skyrocket back to 1,23 to name a few. Europe is running a massive current account surplus and its weaker inflation should, in macroeconomic logic, mean a stronger currency, not a weaker one. The race to the bottom has gone full circle, meaning we are back to a weaker US dollar again as the direct outcome of US interest rates policy. By the end of 2016, a surge in oil demand and the Fed raising rates at an inappropriately slow pace causes the Russian rouble to rise some 20% versus the US dollar/euro basket in 2016. 2016 will resemble 2000 in Silicon Valley with more startups delaying monetization and tangible business models in exchange for adding users and trying to achieve critical mass. Stabilisation, investment spending on the Olympics, and modest reforms will see sentiment rebound in Brazil, with EM exports helped by cheaper local currencies. The result: EM equities to have a great year – outperforming bonds and other equities. The Republican Party goes from strength to dramatic weakness as the rifts from an internal struggle on its future direction play out. This leads to a landslide victory for the Democratic Party as they successfully execute a get-out-the-vote campaign with Millennials coming out in droves having been frustrated by the political stalemate and weak job prospects of the last eight years. OPEC’s crude oil basket price drops to the lowest since 2009 and unease among weaker as well as wealthier members of the cartel over the supply-and-rule strategy continues to grow. The long-awaited sign of an accelerated slowdown in non-OPEC production finally begins to flicker. Suitably buoyed, OPEC catches the market on the hop with a downward adjustment in output. The price mounts a quick recovery with investors scrambling to re-enter the market to the long side – once again bringing $100/barrel prices onto the horizon. 2016 will see a renewed confidence in silver. The political drive towards reducing carbon dioxide emissions by supporting renewable energy will add to increased industrial demand for the metal, given its use in solar cells. As such, silver will rally by a third, leaving other metals behind. Late 2016 will see Fed chief Janet Yellen embark down a hawkish path with a series of aggressive rate hikes, triggering a huge selloff in all major bond markets as yields start to rise. As the portions of bank and broker balance sheets allotted to bond trading and market making have almost disappeared, one of the vital parts of a functioning market is simply not there. This realisation sinks in too late and the entire buy-side flee into a panic selling one-way street, as highly advanced risk models lurch into a symmetric red alert. Next year’s El Niño will be the strongest on record and will cause moisture deficits in many areas of southeast Asia and droughts in Australia. Lower yields across agricultural commodities will curb supply at a time when demand is still increasing on the back of global economic expansion. The outcome will be a 40% surge in the Bloomberg Agriculture Spot Index, adding some much-needed inflationary pressure. Faced with rising inequality and unemployment of over 10%, Europe is considering the introduction of a basic universal income to ensure that all citizens can afford to meet their basic needs. In a more egalitarian society where other values are promoted, demand for luxury goods decreases sharply – the sector collapses. Will the Fed raise rates on Thursday? Do you belive the Fed will hike on Thursday? If so, you are among economists and strategists that belive so, but traders are betting strongly against it, and that alone is enough to wait at least one month before liftoff, according to Morgan Stanley. CME FedWatch tool says the probability is at just 21 percent, and Morgan Stanley said its readings on trading show a 30 percent probability that «overstated the chance» of a rate rise. Lessons learned in 1994 that reverberated into 1999 and 2004 will prelude a rate hike until the futures market prices one in. In 1999 and 2004, the central bank waited for market expectations to exceed 50 percent before moving, learning a lesson from 1994 when it tightened. CNBC said there is one good reason the Federal Reserve won`t vote to raise interest rates, and that`s History. So, what is all this about? Rates have been near zero since the recession, and the Fed have delayed its first-rate hike since 2006. But why is the interest rate so low? See it like this; The lower the rates, the more problems it is in the economy. When the economy is strong and everything is okay, interest rates are hiked in order to curb inflation, but when we face tough times, the Fed will cut rates to encourage lending and inject money into the economy. If these indicators improve and the economy is doing well, rates will be raised, but if the improvement is small, it will be maintained. Drops in these indicators can mean a rate cut in order to encourage borrowing. Other indicators to foreshadow changes in the economy is building permits, average weekly hours, new orders and the spread between 10-year Treasuries and the Federal Funds Rate, which is published every month by The Conference Board. Raising rates will have an impact on the markets. Raising interest rates will cause the dollar to appreciate over the Euro, which means the pair EUR/USD will decline, which is good for the U.S dollar. If Chairwoman Janet Yellen sends out a dowish signal on Thursday, it may help to boost stocks and undermine the dollar. Investors will pay less attention to gold and allocate more of their capital into equities. A hawkish message, including a rate increase, may help unpin the dollar and undermine stocks and gold. So, the upside will be limited for gold in both scenarios, unless we see a massive selloff in equities and the dollar. Changes in monetary policy will ultimately cause currency exchange rates to change, and paying close attention to the news and analyzing the actions of the Fed (in this case) is vital for forex traders. The interest rates impact currencies because the greater the rate of return, the greater the interest accrued on currency invested and the higher the profit. So how can you profit on it? The strategy is very simple, but also very risky. You can simply borrow currencies with a lower interest rate in order to buy currencies that have a higher interest rate, and this strategy is known as carry trade. The shift in interest rate represent a monetary policy-based response as a result of economic indicators that assess the health of the economy. Most importantly; they possess the power to move the market immediately. So, how healthy is the U.S economy? A key measure of inflation dropped 0,1% last month for the first time since January due to sliding gasoline costs, and this is something for the FOMC (Federal Open Market Committee) on its policy meeting Wednesday and Thursday this week. Central bank leaders have said they want to be confident inflation is heading toward their 2 percent target. Low inflation is a sign of economic weakness, and raising rates too soon risks harming the economic expansion. IMF (International Monetary Fund) and the World Bank have asked the Fed to delay its first-rate hike since 2006. The world`s financial watchdog is the BIS (the Bank of International Settlement) and are considered the «bank of central banks». BIS has warned that a Fed rate hike could have a huge effect on the global economy and particularly in emerging markets. According to a BIS report, much of the global financial system remains anchored to U.S borrowing rates, and a rate hike at home tends to have an impact on higher rates in other economies. The enormous amount of debt in the emerging markets has the potential to move the markets even with a small rate hike. Everybody knows that sooner or later, a rate hike might be necessary. No matter the results in the financial markets will be. Some belive the Fed will hold off on raising rates until December. I really look forward to Janet Yellen`s speech on Thursday at 2 p.m. Washington time.